There are a lot of hydrangeas out there. A lot. In fact as far as I’m concerned, too many. 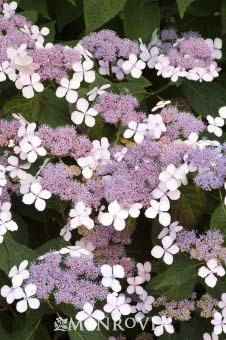 This is of course, no surprise – it’s a highly appealing shrub that even non-gardeners want to grow. And if you hurry, there’s still time to pop a few into the ground before the season ends and we must begin our winter tasks of brush clearing and heavy drinking. 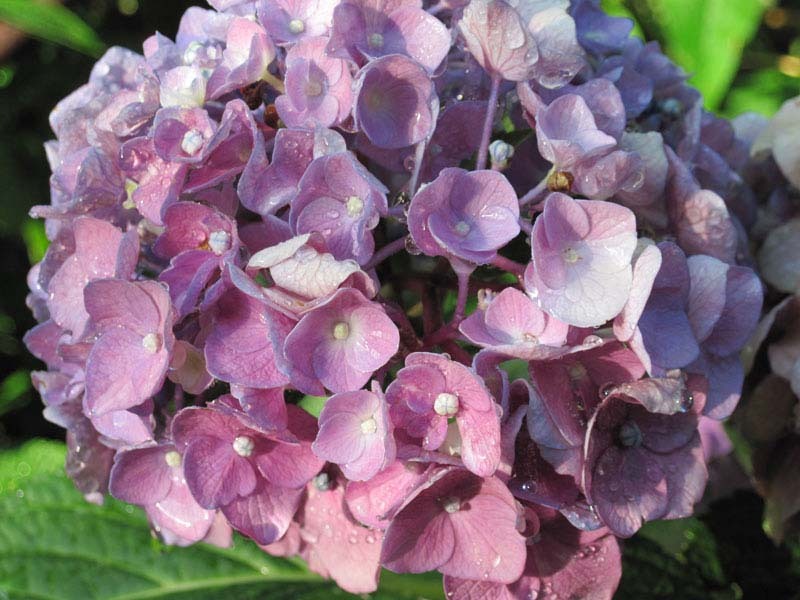 No matter how many new series are introduced by the breeders, the hydrangeas most commonly grown in North American gardens fall into six species. The good news is, you’ve probably encountered most of them, so hydrangea might just be one of those rare genera where a little knowledge can make you appear very knowledgeable indeed (sometimes it’s nice to one-up your Master Gardener mother-in-law over the Thanksgiving table). 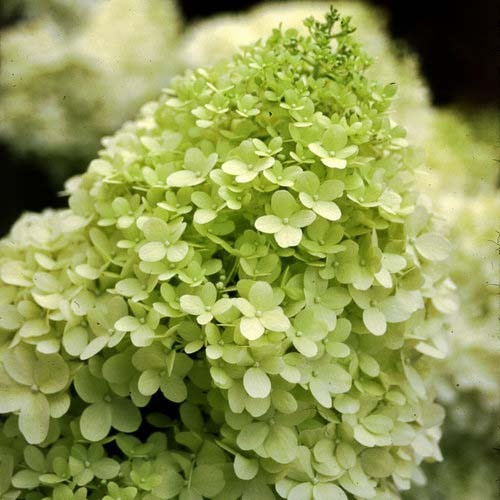 1) Big-leaf hydrangea (H. macrophylla) – these are your typical large flower heads whose firm, succulent blossoms you can’t help but touch as you walk by. The ubiquitous but hard working ‘Nikko Blue,’ lives here, and most of the new introductions that greet us at garden centers; but many flat lacecap varieties are also part of this group. (Macrophylla refers to the leaves, not the blossom.) I’ve got many. Again, too many. My very favorite is ‘Merritt’s Supreme,’ but as I am aware that fondness for such an ‘old’ variety brings my reputation into disrepute, I am happy to report that I’m planting the new ‘Grateful Red’ and ‘Fuchsia Glow’ as we speak. These bloom on old wood only, and can be cut low by a hard winter – so use a light hand and prune just after bloom. 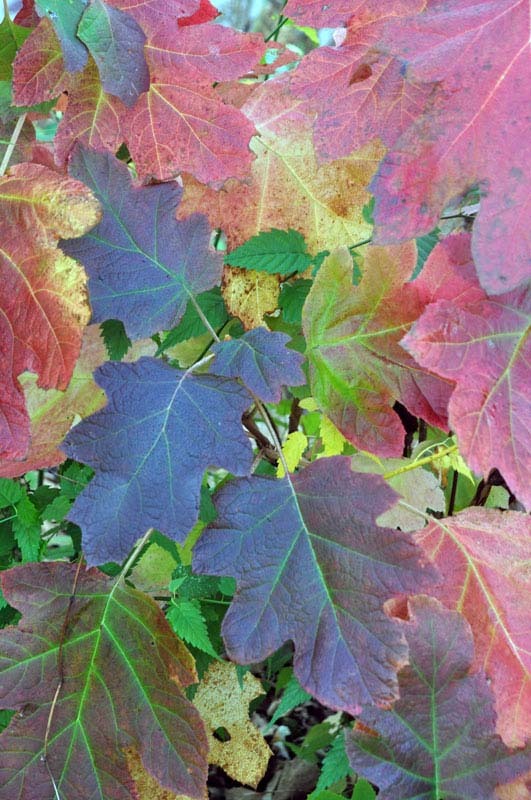 2) Oak-leaf hydrangeas (H. quercifolia) – I love these native beauties with large, oak like leaves that turn deep red in autumn and bark that peels like cinnamon. Flowers are usually white, but age to pink. 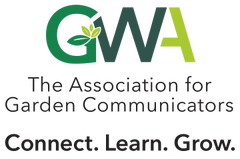 I grow ‘Snow Queen,’ the chartreuse-foliaged ‘Little Honey,’ and a species giant. I was planning on ponying up the cash for ‘Ruby Slippers,’ but then again, my kids need slippers too, and as they won’t stop reminding me, winter is coming. It’s ridiculous how many times I’m forced to choose between the whim of a child and a research-based plant purchase. Blooms on old wood. 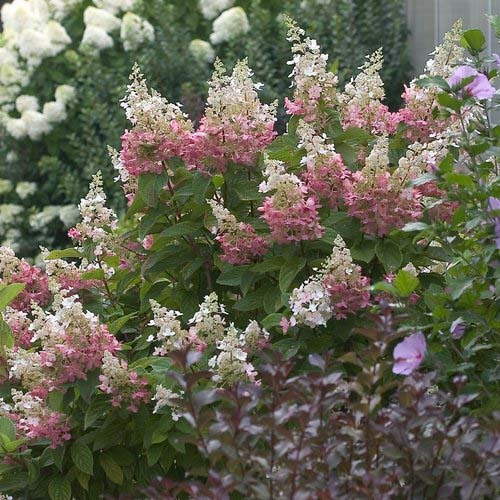 3) Panicle hydrangeas (H. paniculata) – ‘Grandiflora’ was the old stately favorite, but in recent years, this species has taken off with varieties like ‘Limelight’ and ‘Pinky Winky’ – both of which I grow, and love. Paniculatas require more sun than H. macrophylla, are usually larger, the flowers more triangular, and they bloom on new wood – which means that our last two winters didn’t faze them. Lucky beggars. 4) Climbing hydrangeas (H. petiolaris/anomala) – A great choice for a north or east wall, these hydrangea take about three years to get comfortable, and then, oh boy. There is maintenance involved in this one folks, but clothing your house like an English manor (complete with window cutouts) might just be worth it for you. I’m currently quarantining one in the pot ghetto at my new house after experiencing its vigor at my last one. Beautiful yet suffocating – maybe I’ll find a tree for it to Kardashian instead. Blooms on old wood. 5) Mountain hydrangeas (H. serrata) – These Japanese beauties look much like the macrophyllas and also bloom on old wood, but are hardier. So if you teeter as I do in a Zone 7a world where a bad winter can crush all hopes of bloom with a macrophylla – this is the species you should be stalking. I grow ‘Bluebird,’ and ‘Tokyo Delight’ and so far so good. There are many other lace-caps in this group too, so know your varieties before you discuss this particular species in depth. With your mother-in-law. [gently] access your inner Lizzie Borden in early spring. More sun than you think – at least half a day and hopefully that of the morning variety – though paniculatas are quite happy in full, cool-climate sun. Give them all a good amount of water and mulch to conserve it. Don’t forget to bring some of those gorgeous blooms inside to kick up your interior décor or present in a bouquet to your mother-in-law at Thanksgiving. With the exception of the smooth species, hydrangea blossoms make excellent cut flowers; but you must give them a little time on their stems to harden up before you pull out the shears. 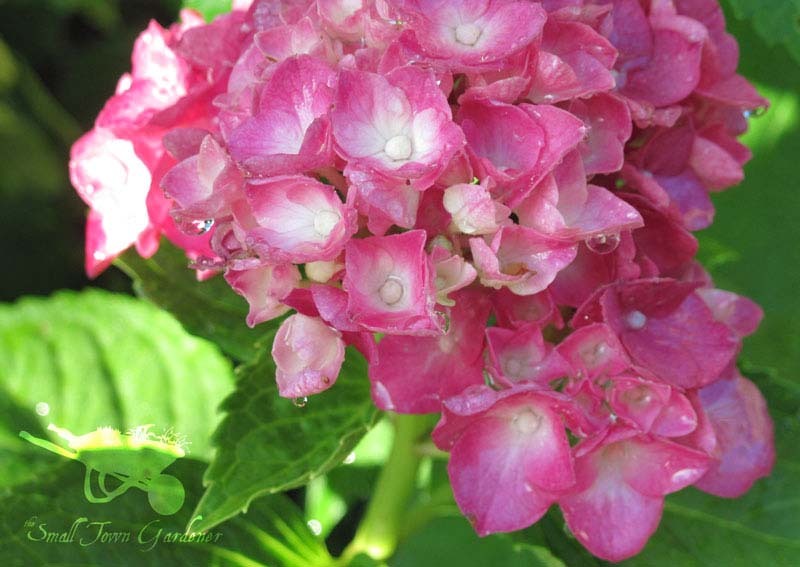 For H. serrata and H. macrophylla, bloom color is very much dependent on pH. 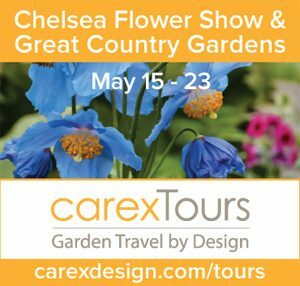 The more acidic your soil, the bluer your bloom, and vice versa. 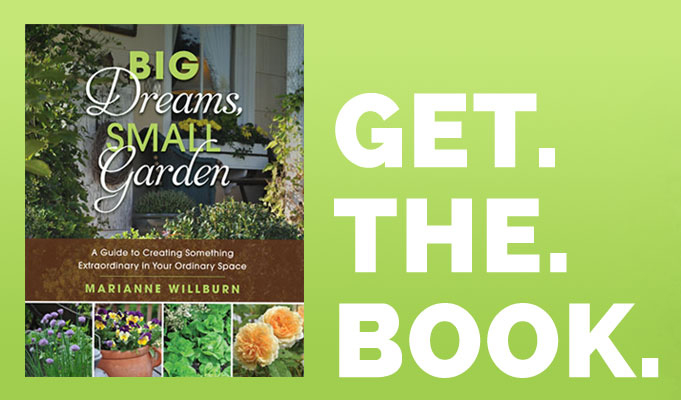 You can change your pH using garden amendments such as aluminum sulfate (acid) and hydrated lime (alkaline) – but follow package directions carefully so you don’t make growing conditions for neighboring shrubs unbearable. 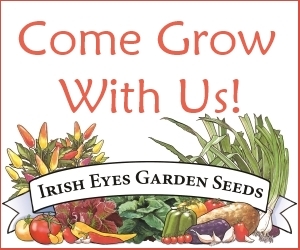 They’re an ego-boost – a shrub that makes you look like you know what you’re doing, even when you don’t. That’s worth a deep hole and a bit of attention with the hose don’t you think?